Floor mosaic in the exedra of the House of the Labyrinth in Pompeii. 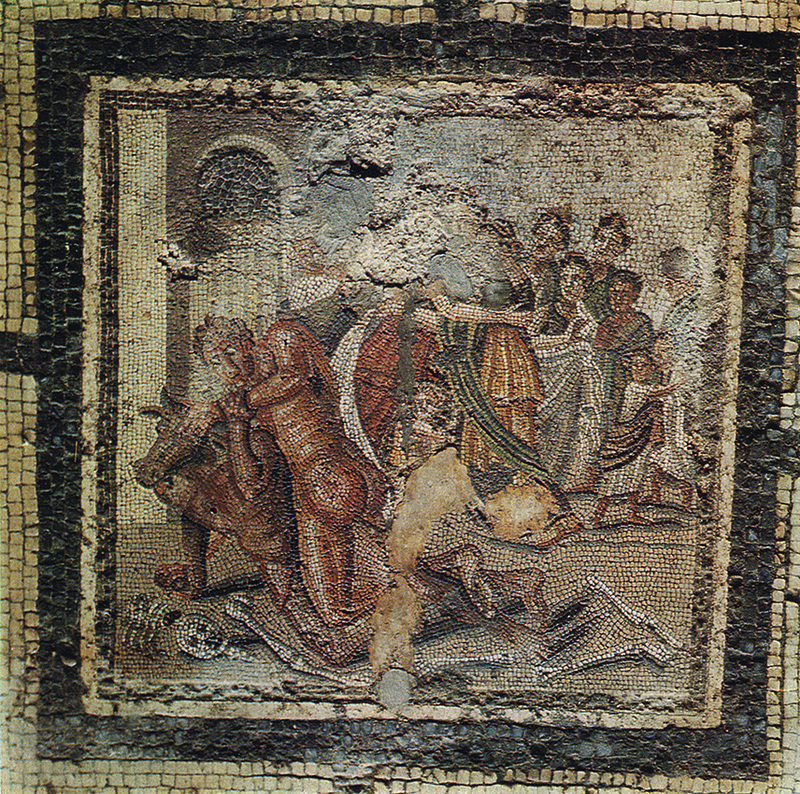 Fight of Theseus with Minotaur. © 1978 Photo, text: H. Eschebach. POMPEJI. Erlebte antike Welt. VEB E.A. Seeman. Buch- und Kunstverlag. Leipzig, 1978, ill. 155.